Things I Love: It's My Birthday so I'm having a Giveaway! 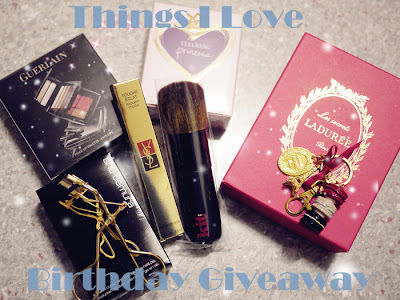 It's My Birthday so I'm having a Giveaway! But they do say you are only as old as you feel and act, so I'm determined to feel young at heart for yet another year. And what better way to do that than to celebrate it positively and share the joy of the occasion with family, friends and extend that celebration virtually to you, my readers? That is why I've decided to host this giveaway to celebrate my birthday - and the best thing is, it's open to all readers, so all you international readers can get in on the act this time! 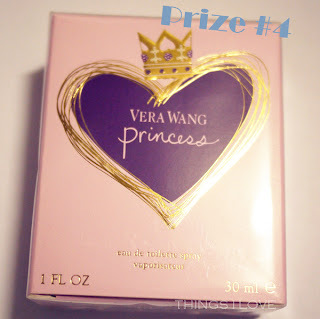 All products for this giveaway are purchased by yours truly during my travels last year, either because they are cult and iconic beauty products or are irresistibly cute. As a way of thanking you for your support of the blog, especially the past 6 months which has been a very difficult time for me personally and I haven't had the opportunity to update as frequently. I've broken the prizes into 4 packs so there will be 4 winners for this giveaway. 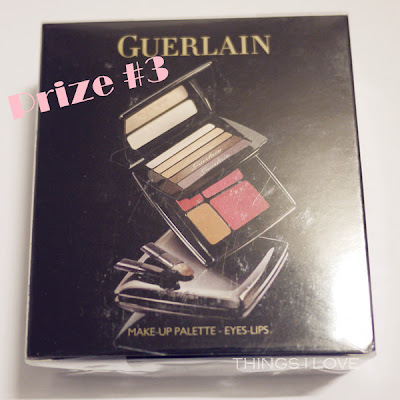 is a travel-friendly Guerlain makeup compact picked up at the Hong Kong Duty free store with 5 eye shadows and 4 lip shades with mini brushes. 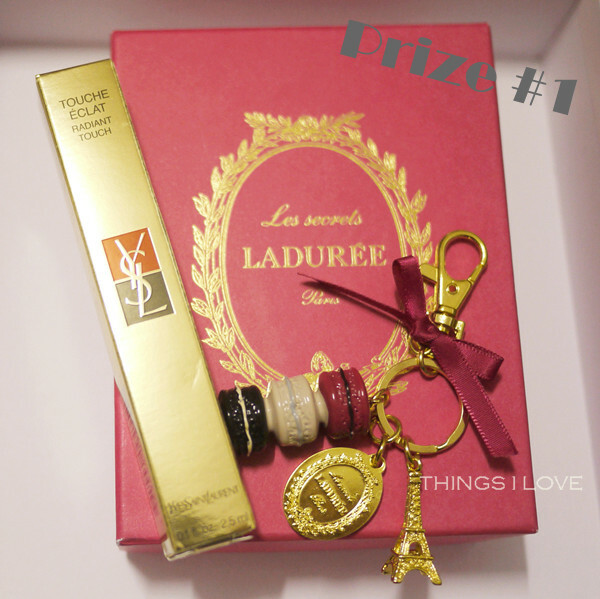 To be in a the running of one of these fabulous (if I do say so myself) prizes, all you need to do is comment in the form below and answer the question " what was your most memorable birthday to date?". 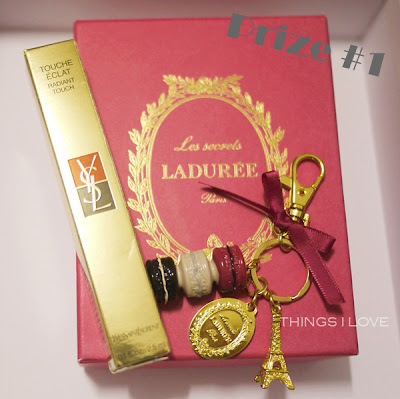 Following me on Twitter and tweeting "I'm entering @lilpil99 birthday giveaway to win some awesome beauty booty #win #ShuUemura #Guerlain #YSL #Laduree"
The bonus entry actions are not mandatory but I'd appreciate and be very grateful for all your love and support the blog on all the various social media channels! The competition is opened from 16th May to 31st May AEST to all readers including international readers. 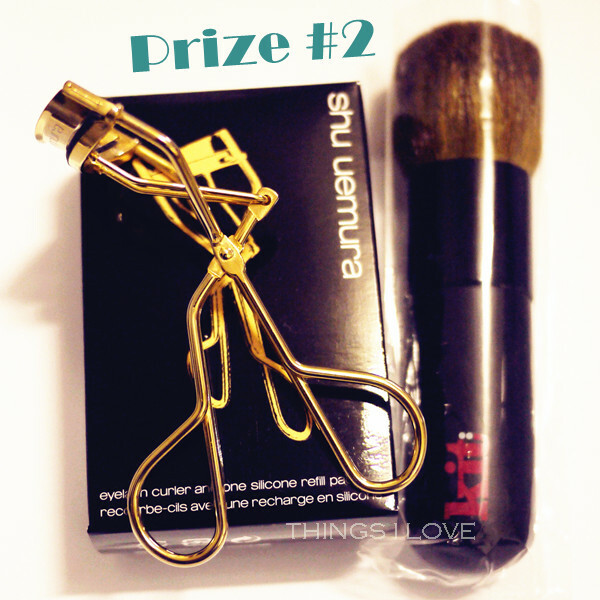 The prizes will be allocated in the order of winners drawn by June 2nd 2013. The judge's decisions are final and no correspondence shall be entered to. Firstly, Happy happy birthday. I hope your day is full of laughter and love. My most memorable birthday was when we went to the park for a picnic and a swan waddled over and stole a piece of cake off a plate. I was about 22 and it was truly hilarious. The worst bit was that it then started pooping everywhere. My most memorable birthday was when my partner took me to Tiffany to buy me a birthday present (he let me pick the present because he was to afraid that I wouldn't like his pick ... oh so sweet). In addition to that, he surprised me with a trip for two to Sydney for that birthday weekend. It was supposed to be a surprise, but he got busted a few weeks before when a friend slipped out about the plan. Haha! AND (sorry but I just couldn't resist), my second most memorable birthday is when my partner took me to India & on the night of my birthday, we went to the rooftop of his family's house (flat roof) & we lighted up fireworks :) It was simple, but so memorable. Who is this amazing guy? Happy Birthday and so kind of you to share the joy. I have stopped counting my birthdays feel I get younger every year, certainly happier. thanks and happy birthday !! Happy Birthday, every birthday should be celebrated no matter the age! Happy Birthday :) I am sure you will celebrate in style! My most memorable has to be last year when my daughter was old enough to attempt to make a cake and try and pamper me.... The sweetest thing a five year old can do! My most memorable birthday is when I had my daughter the day before my birthday, therefore I spent my own birthday in the hospital with my new baby. The nurses brought me a cake and all my family came as well. My most memorable birthday was last year!!! I got a baby as my birthday gift. xoxoxoxo.